Have you ever found yourself stuck at the Outlook load dialog, where all it says is “Processing” forever, no matter how long you wait? Right-click the Start button, and click Run. 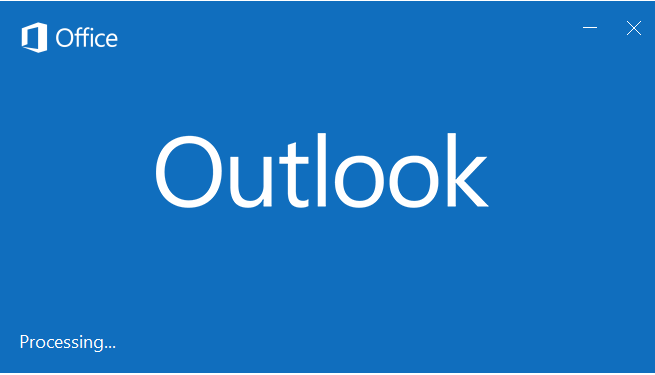 Assuming it opens, close Outlook again and let it close your Outlook data files properly by waiting. Then run Outlook again normally.